Born on 25 December 1744, William Dickson was the eldest son of John Dickson, a tenant farmer of Ballycraigy, Carnmoney, Co Antrim. He received his early education from the Rev. 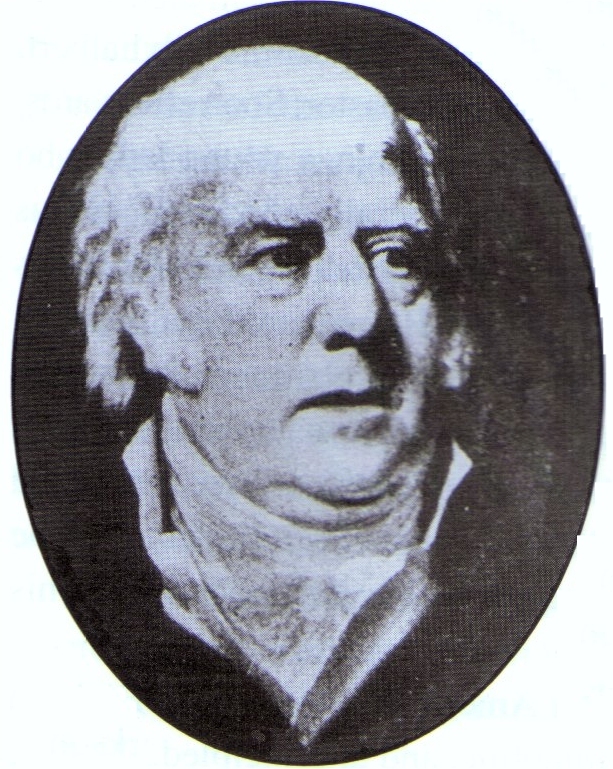 Robert White, the Presbyterian Minister of Templepatrick. In Glasgow University he studied under Adam Smith and John Millar. Pastor of Ballyhalbert in 1771 and Portaferry 1780, in 1793 he was chosen Moderator by the Synod of Ulster. An enthusiastic member of the Volunteers he was a strong and consistent advocate of immediate Catholic emancipation and of parliamentary reform. He took an active part in the political campaigns of Robert Stewart Sen. - later Lord Londonderry (1781) and the young Robert Stewart - later Lord Castlereagh (1790). When in 1791 the Society of United Irishmen was formed in Belfast. Dickson became a member. In 1798 he was reputed to have been Adjutant General of the County Down forces and, while this was never proved, he did not deny it. On 5 June 1798, two days before the attack on Antrim that started the Rebellion in Ulster, Dickson was arrested in Ballynahinch. Not charged with any offence, he was moved, in August of that year, to a prison ship in Belfast Lough where he remained until transferred, with the other State Prisoners from Dublin to Fort George in Inverness, Scotland. Set free on 13 January 1802 he found himself without employment until he was called by the new Congregation of Second Keady and installed in March 1803. His campaign to clear his name from the imputations of being implicated in treasonable or seditious practices leveled at him by the Synod of Ulster in 1799 succeeded when, in 1813, a meeting of the Synod declared that the words were inaccurately used of him. In 1812 he published his A Narrative of the Confinement and Exile of William Steel Dickson, DD. In 1815 he resigned from his congregation and retired to Belfast where he died on 27 December 1824. He is buried in Clifton Street burying ground. Dickson surviving written works are a testament to his progressive mentality and his detestation of the arbitrary abuse of power by government. His was the driving force in the spread of the gospel of liberalism, from which the United Irishmen derived much of their strength.